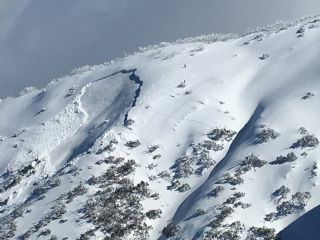 An avalanche occurred in Mt Hotham’s backcountry on 8 August. There were no injuries to mountain staff or guests. This follows warnings from the Mt Hotham Ski Patrol team regarding the high risk of avalanches in the backcountry due to the large amount of snowfall, cold temperatures and strong winds that has occurred over the last few days. Mt Hotham Ski Patrol perform avalanche control work daily and noted in their snow report today the danger of sizeable wind slab avalanches at higher elevations. The conditions within the resort boundaries remain excellent, with the metre of fresh snow providing once in a decade skiing conditions. The inbound terrain is carefully managed by the Mt Hotham Ski Patrol and through the grooming operations of the Mt Hotham Skiing Company.